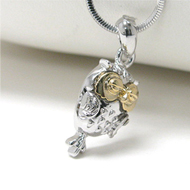 Jewelry She Has, jewelryshehas.com is committed to the protection of the privacy of its web site visitors. Please note that we do not provide statistics about our customers, sales, traffic patterns, and related site information to third-parties. We may contact you via mail, e-mail or phone to inform you of new products, services or promotions we may offer. If you place an order for a product, request a service or submit content to this site, we may need to contact you for additional information required to process or fulfill your order and/or request. However,unless compelled by applicable legislation, we will not provide this information to a third party, except as necessary to process your order. Please note that while there are always risks associated with providing personal data, whether in person, by phone or over the Internet, and no system of technology is completely safe, "tamper" or "hacker- proof",Jewelry She Hashas endeavoured to take appropriate measures to prevent and minimize risks of unauthorized access to, improper use and the inaccuracy of your personal information. We use VerSign SSL Encryption with the strongest available SSL Encryption. Jewelry She Haswill on its own initiative, or at your request, replenish, rectify or erase any incomplete, inaccurate or outdated personal data retained byJewelry She Hasin connection with the operation of this Site. No information may be submitted toJewelry She Hasby persons under the age of 18, nor may persons under the age of 18 make purchases or other legal acts on this Site without such consent, unless permitted by applicable legislation. Jewelryshehas.com site may contain links to other external sites. Jewelryshehas.com or Jewelry She Has is not responsible for the privacy practices or the content of such other sites. 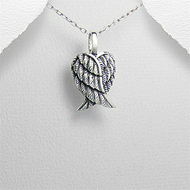 Jewelryshehas.com uses a form that customers can utilize to request information, products and services. We gather contact information including but not limited to physical addresses, email addresses, phone numbers and financial information (account or credit card numbers). Information is gathered by jewelryshehas.comis for the sole benefit and use of jewelryshehas.com contact information from the order form is used to send orders, information about our company, and promotional materials. The customer's contact information can also used to get in touch with the customer when necessary. Customers may elect not to receive any emails should they so desire. Financial information such as credit card information, billing address, and shipping address is used to bill the user for products and services, and to effect shipment. This information is kept strictly confidential and secure. Our online surveys ask for contact information (typically an email address) and demographic information (such as zip code, age, or income level). We use contact data from our surveys to send the user promotional material from jewelryshehas.com.